Lawmakers in both parties are trying to make it more difficult for homeowners to sue condo developers over construction defects. They hope it will lead to more condo development and lower rents. But despite widespread support for the concept, legislation hasn't been able to pass in previous years. For this week's Capitol Conversation, we talked about the issue with Peter Marcus with ColoradoPolitics.com and Ed Sealover with the Denver Business Journal. Marcus: Yes this is a problem in the Denver metro area, but it is a statewide issue. You go out to Durango there is a huge lack of housing there, condos, townhouses, things like that. And in these mountain communities it's already ridiculously expensive to live out there, salaries don't often keep pace with the Denver metro area yet housing costs are skyrocketing. Sealover: Without condos going up builders instead are putting up apartments. Apartment rents in Denver have gone through the roof in the past two years, and in other parts of the state as well. In fact, Denver is now the most expensive city for housing costs that is not located on a coast in America. Sealover: Senate Bill 156 is not a compromise. It's the same bill largely that died in 2014 and 2015 at the hands of Democratic leaders who didn't like it. The question is where does this go now? Crisanta Duran, the Speaker of the House, is more open than her predecessor Dickey Lee Hullinghorst to the idea of some sort of construction defects reform, but she doesn't like limiting people's ability to try to get their cases heard in court. That's going to be the central issue. Capitol Conversation: How Will The EPA Freeze Affect Colorado? It is unclear how the Trump administration's freezing of grants and awards from the Environmental Protection Agency will impact programs in Colorado. We talked with Peter Marcus with ColoradoPolitics.com and Luke Perkins from the Durango Herald about how politicians are reacting—and working together—in the face of potential funding losses. This post has been updated, first on Sat 1/28/17 to expand the story. Last updated Thursday 2/2/17 to reflect that the bill has been introduced at the statehouse. 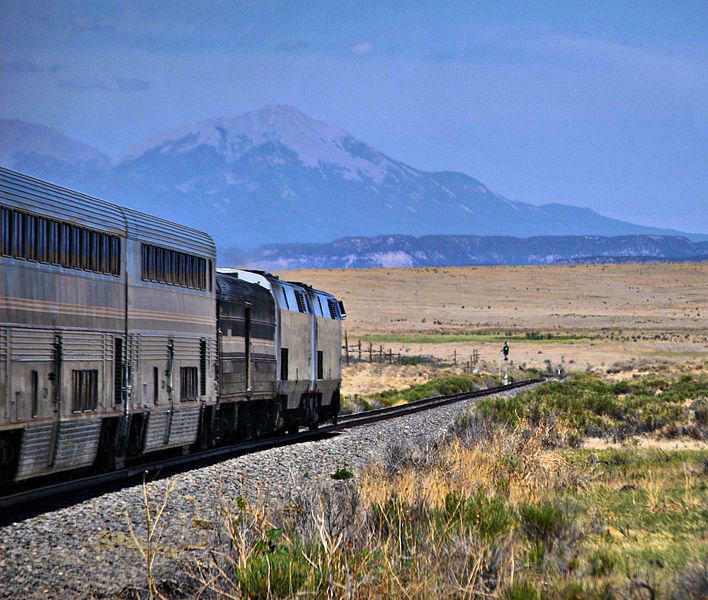 The state's Southwest Chief Commission, which has been working since 2014 to find ways to preserve and expand a long-distance Amtrak route that runs through southern Colorado, is setting its sights on passenger rail along the Interstate 25 corridor and Colorado's Front Range.